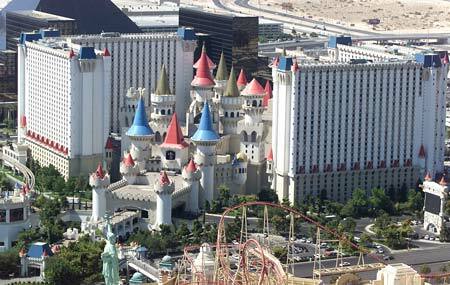 The bus took us back to "The Strip" and we got off at the Excalibur to gamble away the rest of the day. Rocky's favorite Las Vegas hotel and casino is the Luxor. He stays in a posh feline suite at the very top of the pyramid surrounded by Tactical Tabbies and Las Vegas show cats. Based on Rocky's recommendation we anticipated a wonderful experience there but sadly, we were disappointed. It was nothing special except for the pyramid shape and the Sphinx. We wanted to ride the inclinators but you have to be a guest. The feline suite at the top is much too small for humans and the Tactical Tabbies wouldn't allow us inside anyway. 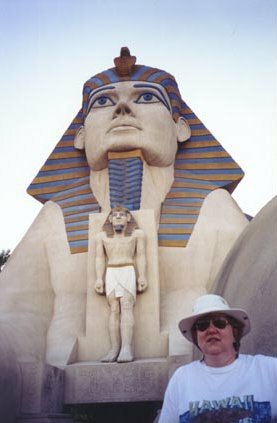 Diana in front of the Sphinx at the Luxor. 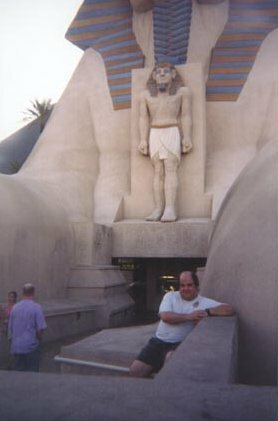 David in front of the Sphinx at the Luxor. 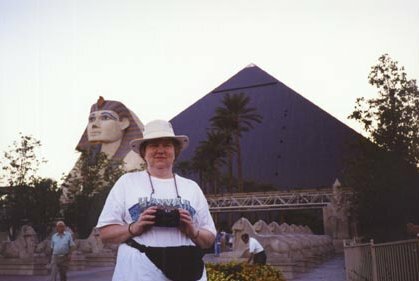 Diana prepares to photograph another exciting scene in front of the Luxor. 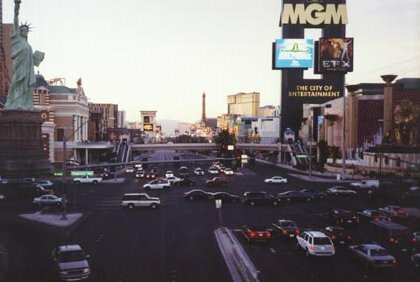 We continue across "The Strip" to the Tropicana. Diana had fantastic luck at the Tropicana in Atlantic City and hoped to do even better in Las Vegas. Alas, it was not meant to be. We crossed Tropicana Blvd. to visit the MGM Grand. Our favorite part of the MGM Grand was the Lion Habitat where lions could watch over the casino and keep control. 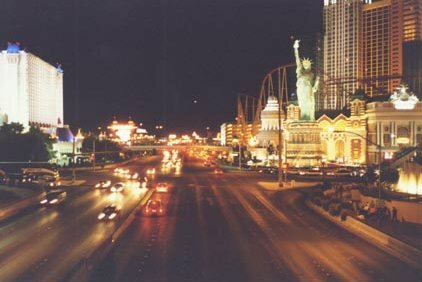 Our last gambling of the evening was back across "The Strip" at New York New York. We had a late dinner at the Harley-Davidson Cafe.